Another family firm in Milan, this one was formed by Giuseppe Colli in 1931 and included his four sons, Mario, Candido, Beniamino and Tarcisio. The father and Beniamino had learnt their profession at the Touring factory nearby, and working with aluminium became their speciality, which inevitably led to a predominance of sporting models and those destined for competition. This speciality really first took off in the pre-war years when the National Sport category in racing became more popular, this allowing almost complete freedom in the body used on mass-production homologated cars. 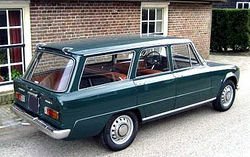 Initial vehicles used Fiat 1100 mechanicals and chassis', but various others were also utilised including the Fiat 500, Lancia Astura and Aprilia. After being a component supplier to the aviation industry during the war, they soon returned to sportscars after the conflict ended. 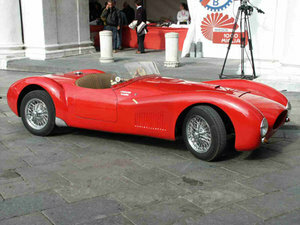 The relationship which had built up before the war between Colli and Roselli, Volpini and Tinarelli continued and led to the production of a variety of cars with Colli bodies, including an unusual Fiat Maserati 1500 which had a Maserati six-cylinder engine fitted to a Fiat 1100 chassis, all clothed in a Colli body. Other models produced in the early post-war years included a couple of Alfa Romeo 2500SS cars, various Aprilia based cars and for the 1947 Villa d'Este a Fiat 500 barchetta with a Gilco chassis. Other people who worked with the company included Ermini, De Sauge, Dagrada, Pagani and Speluzzi. As well as the competition cars, some more conventional road cars were also produced, including a very pretty all-aluminium coupe built on both the Fiat 1100B and Fiat 1500D chassis. 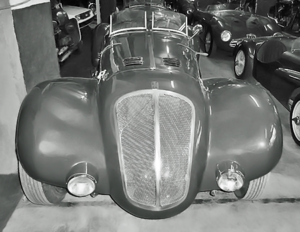 Production continued of one-off cars for various clients, but the death of Roselli and the increasing availability of competitive sports cars Alfa Romeo 6C 2500SS Corsa saw the workload at Colli reducing. Notable in these years was the production of a successful powerboat, various BMW powered cars and some Formula 3 cars. 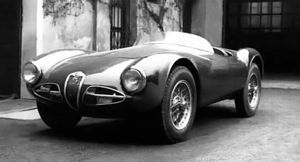 In 1952 they became an official coachbuilder for Alfa Romeo and built various cars for them, including amongst others the 3000CM coupé and spider and a single variant of the 2000 Disco Volante. Generally, however, they turned more to specially equipped vehicles (than competition cars), mainly for the security forces. The 1900 TI was produced for the Police in both an armoured version with a Webasto sunroof and a four-door cabriolet, whilst a Fiat 1900 spyder was also built. 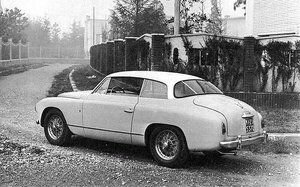 Limousine versions were also built of both the Giulietta and the 1900, as well as a four seater 1900 Sprint which was displayed at motorshows in 1953. 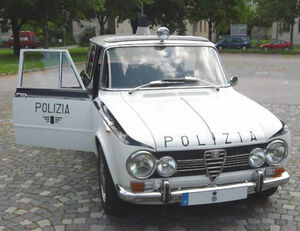 Finally they were responsible for producing a series of Giulia estate cars (the Promiscua) both for the police and for civil sales. The Alfa Romeo Giulia four-door is perhaps the single greatest sport sedan to come out of Europe in the early 1960s. It’s fast, it has a live axle that does things no live axle should be able to do, and it’s shaped like a small refrigerator. A handful of different Italian coachbuilders produced wagon variants, but the most well-known (and common) version was built by Carrozzeria Colli. Somewhere between 15 and 500 examples are believed to exist. Italian police used Giulia wagons. The Alfa factory used one as a parts runner. They were turned into ambulances.